KEN YUSZKUS/Staff photo. 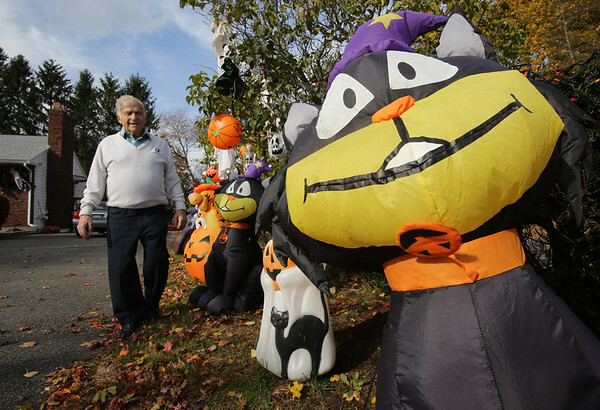 Dominic Carnevale walks along his driveway near some of the many Halloween decorations that he has on display in his yard. 10/29/15.